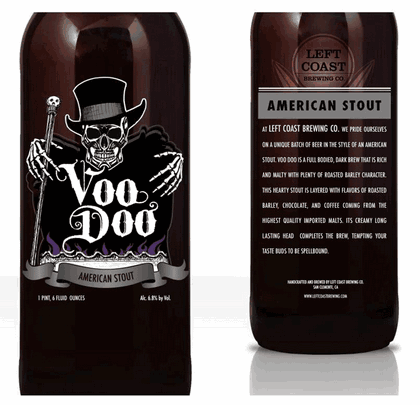 Left Coast has hired Sabemos Beverages to handle their marketing. 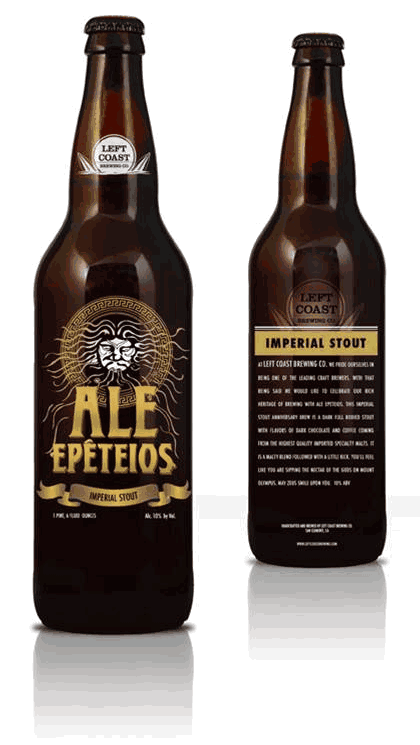 They were one of the breweries using enameled bottles, and that will apparently continue. But it looks like some of the bottle art will be redesigned. So yeah, the new one's better. I like the frog and the vaguely Native American/Southwest design scheme. It'll look a lot less cluttered on the bottle, I'm sure. And, as I may have said before, we really don't need more label art with big pictures of hops. 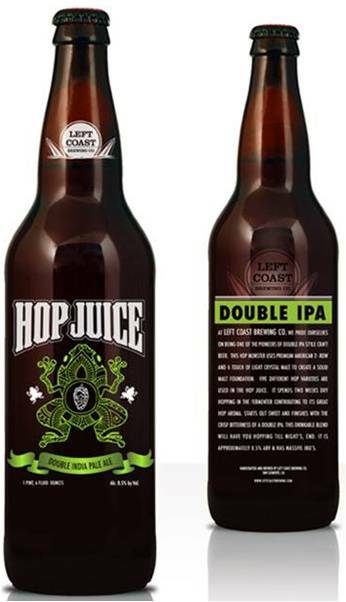 "Hop Juice" is one of those names for beers by multiple breweries, and I'm glad no one's fighting over it. I sent an inquiry to Sabemos, but they either didn't understand my question or just decided to answer a different one, so I'm a bit at a loss. Any input from those of you nearer to the brewery would be much appreciated.